You can choose either a 30 minute or 1 hour phone session. All in person sessions must be 1 hour. Are all readings in person? No, I offer phone sessions as well. It is just as easy for me to connect over the phone as it is in person. I am connecting with energy, and energy has no limits. Do you offer recordings, notes, etc.? Yes, all sessions except 30 min phone sessions have the ability to be recorded. For phone sessions you will be guided to use a conference call system where you will receive a digital download shortly after our call has ended, and for in person sessions you will receive a digital download within 24 hours after your session. Please follow the link under the “Sessions” tab. You can select your day, time and pay for your sessions there. For the most part just relax and remain open to the messages that will be coming through. Staying positive and mindful of what you wish to achieve during your session will help as well. If you are receiving a reading over the phone, please find a quiet place where you will not be disturbed during your reading. I accept Visa, Mastercard, Paypal. Personal check and cash need to be arranged prior to scheduling your session. Once I pay for a session how long will I have to wait to schedule? I am currently offering an online scheduling system. You can take care of your payment and schedule your appointment all at the same time. If you are having difficulty using the system, please feel free to email me at maggie@aligntowellness.com and I will contact you within 24 hours. How do phone readings work? Don’t you have to meet in person? 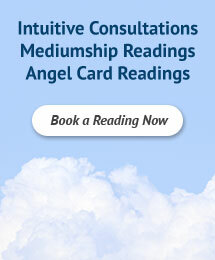 No, it is not necessary to meet in person in order to receive an accurate phone reading. Being able to communicate with spirit is actually very easy to do over the phone since I am connecting to the energy of your loved ones. 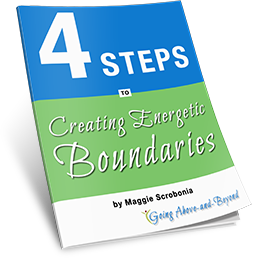 That energy source has no boundaries and is always accessible. How do you connect to those on the other side? It is a 3 step process for me. First, I begin with meditation. This will help me shut down my analytical mind and open up my perceptive mind. Second, I focus on raising my energetic vibration to higher rates which will begin to match that of Spirit energy. Lastly, I open myself up to be a channel for that higher vibrating energy. When I match that vibration the information flows through me and out to you. Can I learn how to recieve messages from my friends and family on the other side? Absolutely. We are all born with the same potential to communicate with spirit, but not everyone has the desire to learn. Communicating with spirit is an ability that like everything else, one has to learn the techniques, then practice and use the tools and skills to become proficient. Should I prepare a list of questions for my reading? If you have specific questions that you would like to address in your reading then yes, please have them available; however it is not necessary. You may ask questions in any reading at any time. Do you struggle to just do your basic self-care activities? So often, after an onset of an illness we spend a lot of time just trying to figure out how to maneuver ourselves within our life. Simple tasks aren’t so simple anymore. Things we used to do are only a struggle now. Learning some adaptive strategies, regaining strength and coordination through the use of therapeutic exercises or improving our balance from a weakened state is what I can assist you with. 6 Years – Pain Free! After the first treatment I felt an immediate release of tension in my hands. My arms felt lighter, softer almost. After the first week, I called to postpone my surgery because I didn’t have any pain! After the second week I was amazed! It had been so long since I was pain free. I was able to cancel all surgeries, take care of my new son, and keep working. It has been 6 years… pain free. I was unable to walk without a cane... Not wanting to have surgery I started to look for other options and I’m glad I did. Maggie’s work is unbelievable. I now am able to play tennis, ride my bike, hike and ski, all without pain or surgery. I have had treatments from various providers, but what I experience with Maggie is different. It’s like she’s massaging my inside first, then the rest just relaxes. Even though her touch is light, it goes to the core. Your hands are amazing! I’m not sure what flows through them, but I felt as if my tissue just melted as soon as you began to touch me. I had no idea that trying to hold on to things in my life that no longer served me could make me physically ill. I’m on my way to being a better me, and feeling so much better in the process. Thank you so much. Maggie is a true healer. Through her use of massage and myofascial techniques I am able to keep my pain under control. Her intuition and knowledge of the human body have allowed me to acknowledge my physical self, as well as my emotional and spiritual self. Her love, support and healing have had a tremendous impact on my life.